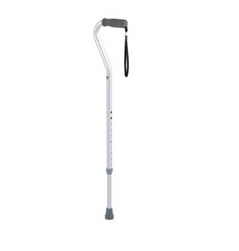 The Carex Offset Aluminum Cane is a height adjustable cane with an offset handle. It also features a wrist strap and soft cushioned handle for comfortable and easy use. 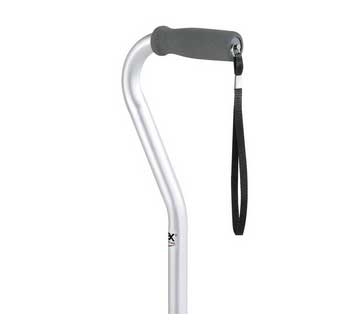 The Carex Offset Cane has an easy height adjustment with just a push of a button or a few turns of the unique twist shaft. The cane is silver in color and has a cushioned handle to improve comfort and grip. Height adjustable from 29" to 38"